If state capture wasn’t enough of an indication that South Africa has a corruption problem, then the latest report from Corruption Watch should do the trick. The non-profit took a look at how corruption erodes “the pillars of our democracy” and gives rise to the kinds of abuse of power that leaves us with…well…Jacob Zuma. He’s having a great time FYI. It’s the rest of us who suffer. Corruption Watch’s executive director David Lewis, noted how key institutions – for example, Parliament and the National Prosecuting Authority – were compromised to sustain the corruption on the scale evident in the era of state capture. “On the other hand, we saw how other institutions of our democracy led the fight back against state capture. Robust and independent civil society, media and judiciary are key indicators of a functioning democracy and in our country, these are widely acknowledged for their leading role in confronting state capture,” he said. Some of the main corruption issues reported by the public over the last year include abuse of power, bribery and procurement corruption. The majority of the 4 200 corruption reports received in 2018 were related to provincial government departments, followed by national departments and local government in third place. Which brings us to the most corrupt province in South Africa. As in previous years, Gauteng recorded the most reports of corruption with 45% of all cases received during 2018, followed by KwaZulu-Natal. 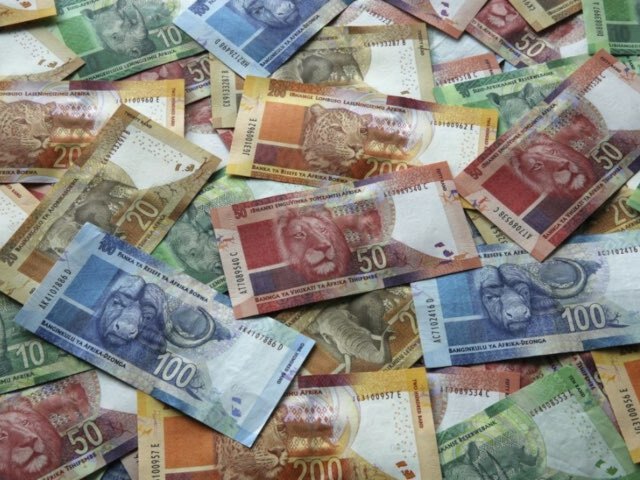 “This, we believe, is largely explained by the relatively large population of Gauteng, the scale of economic activity and the fact that national government administration is headquartered in the province,” Corruption Watch said. If we break it down further into the specific sectors that have been corroded by corruption, education comes out on top as the most corrupt sector in government. 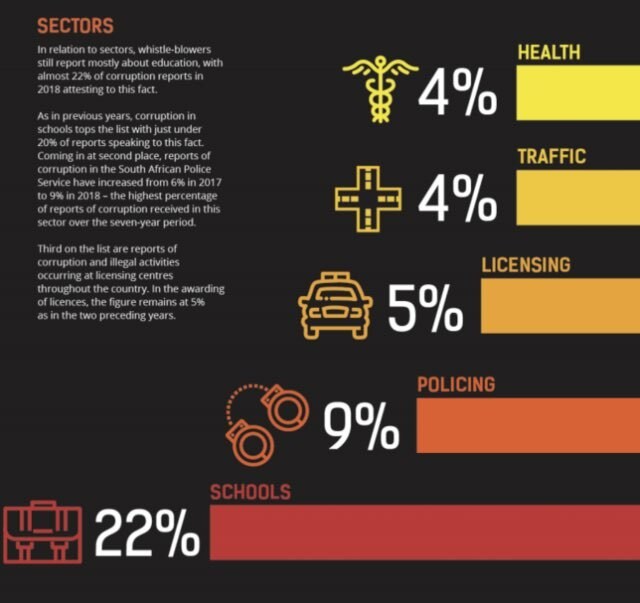 The largest number of reports received (22%) focused on corruption in the education sector, while complaints about the South African Police Service increased from 6% in 2017 to 9% in 2018 – reaching their highest level over the seven-year period. Yep. We’re not doing great. On the upside, the health sector isn’t as bad as we thought it was. Let’s see how the elections pan out.